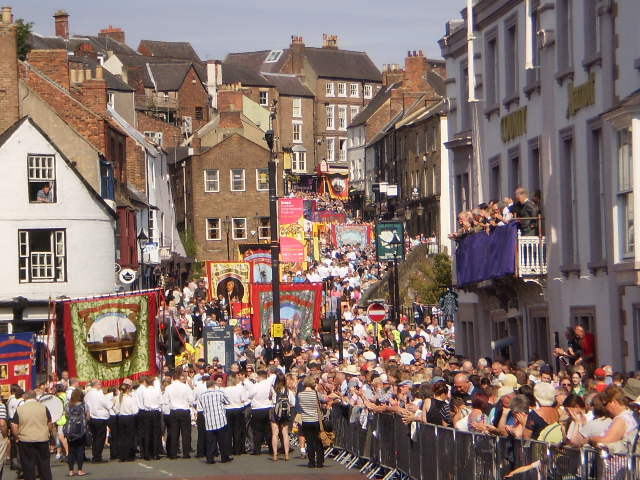 The 131st Durham Miners Gala will take place on Saturday July 11th 2015. Organised by the Durham Miners’ Association, the parade through the beautiful city of Durham, the subsequent Big Meeting and the blessing of miners’ banners in Durham Cathedral remain one off the greatest manifestations of trade union, labour and community solidarity in Western Europe. The 2014 Gala, attended by over 100,000 people was a striking panoramaof banners, colour, music and good humour and drew a vast concourse of people of all ages to the city. The parade took some five hours to pass the County Hotel and down the old Elvet. Not to be missed at the Gala are the speeches at the Old Racecourse which commence in the early afternoon, a location which houses hundreds of stalls, campaigning groups, unions, food, and plenty room for a picnic on the banks of the lovely River Wear as one watches the colliery brass bands and the banners arrive until the entire surroundings of the Racecourse are encased in the spectacular and vivid colours of the banners. This living tapestry confirms its obvious sense of community, heritage and solidarity which has outlasted those who once claimed “there is no such thing as society”. 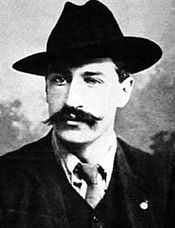 Politicians such as Tony Benn, Dennis Skinner, Neil Kinnock, and Ed Miliband have stood here, trade union leaders Bob Crowe and Jim Larkin, singer Billy Bragg stood here and like countless others since 1871 have spoken to the assembled throng.In 1914, Larkin like a harbinger of doom warned miners’ against any foolishness in trusting leaders and politicians. A week later Britain was at war with Germany and the miners’ banners were not unfurled until 1919. By way of backdrop, high on the overlooking Durham nestles one of the greatest Churches ever built, begun by Bishop Carileph in the 11th century, Durham Cathedral has witnessed human history unfold for almost a millennium, yet the annual blessing of the miners banners ranks as a truly awe inspiring ceremony and should not be missed by anyone attending the Gala. In 2014 new banners from the Tow Law, South Shields St Hilda, Fenhall Drift, New Brancepeth, Lanchester and the Leamside and West Rainton communities were presented and dedicated following their journey to the altar behind the miners’ bands in a dignified, moving and solemn ceremony. Labour/Community and Church working together in a seamlessand common purpose recognising the men and women in working class communities who built Britain. Near the south door to the Cathedral Cloister is the Miners’ Memorial. Erected in 1947 it is inscribed ”Remember before God the Durham Miners who have given their lives in the Pits of this country and those who work in Darkness and Danger in those pits today” The last pit in Durham closed in 1994, but the Gala and remembering goes on. Durham city is in celebration for the day and if one wants to see the true heartbeat of labour, the legacy of the mining communities and the hope that one day the workers will bring about a just and fairer world, the “grander civilisation” of Mother Jones, then a visit to the Durham Gala is essential. 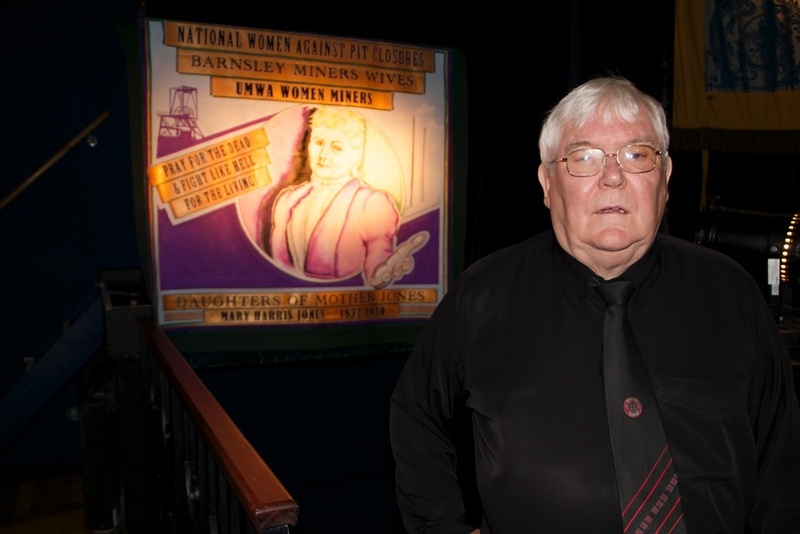 General Secretary of the Durham Miners Association, Dave Hopper attended the Spirit of Mother Jones festival in Cork and explained the history and the purpose of the Gala. Dave issued an open invite to all those interested in the legacy of Mother Jones to come along to Durham on Saturday 11th July 2015. For details visit www.durhamminers.org. Why not visit the site and become a Friend of the Durham Miners Gala? There are direct flights to Newcastle from Cork and Dublin, Durham is but a short train journey away!